2016 is particularly crucial not just because it’s an election year, but also because it’s a milestone for the early cohort of startups founded in 2008-2014 to see if they can make it to their next phase of growth. It’s also an exciting time as Facebook is set to launch its Manila office, and Uber, Google, and other Silicon Valley giants are scaling up their operations in the Philippines. These are the people who I believe will play crucial roles in shaping the Philippine startup eco-system in 2016. My criteria is simple, though admittedly subjective: they’re people who 1.) I’ve personally met, 2.) are incredibly competent, intelligent, and are in the top 10% of their field, and 3.) are generous with their time and genuine in their desire to help build the eco-system. You can check out my 2014 list here. 1. Senator Bam Aquino. The neophyte senator is proving he can outperform the old guard in an institution known more for its grandstanding (those endless inquiries in “aid of legislation”) and coddling thieves of the highest level (the pork barrel scam). Bam’s the vanguard for progressive legislation. In just 3 years, Bam has authored entrepreneurship-focused laws such as Go Negosyo Law and the country’s first Competition Act. In 2016, he’s working on a startup law that seeks to rationalize existing rules to make them more in line with the needs of the digital economy and make us more competitive with ASEAN neighbors. The ideas on the table: a limited liability company law (which requires amending the Corporation Code to allow for single-person corporations), immigration, amending the Retail Trade Law. 2. Pia Bernal & Alex Alabiso: Kickstart Ventures. In the 4th year of Globe’s experiment in seed and venture funding, Kickstart‘s practicing what it preaches by continuously iterating (disclosure: my startup is a portfolio company). Alex Alabiso comes in as head of portfolio development in Kickstart and has such a unique profile – he’s one of the investors with an engineering background. Pia Bernal, head of social enterprise investments and communications manager, has actually been with Kickstart from the beginning – but is now spending more time helping the portfolio with everything from training and development, to strategic partnerships. Mentored by Kickstart founders Minette, Dan, and Christian, Alex and Pia are undoubtedly playing a more active role this year. 3. Lawrence Cua: Uber. In the city with the world’s traffic, Uber has helped shape regulations for on-demand transportation apps. The app is undoubtedly loved by Filipinos, but 2016 will be a crucial year because it’ll help answer the question of whether Uber actually helps worsen or improve the traffic situation in Manila. The simple reason: unlike US cities, most Uber drivers aren’t car owners themselves but employees of entrepreneurial Filipinos who purchase small fleets and then plug them into the network. We’re waiting for Uber to publish more data to answer this question. 4. Diane Dugan Eustaquio, Goldy Yancha, Dustin Masancay, Kat Chan: IdeaSpace. With the new funding model in place (no equity!) and a new location along Arnaiz Avenue, the next iteration of the Ideaspace program will likely feature bolder and more diverse ideas that can attract a wider base of first-time entrepreneurs. With their grassroots reach across colleges and universities all over the country, the team’s crucial in spreading the gospel that there is an alternative path to a corporate job. 5. Mohammed Malik, GM, Thumbtack. The US-based local services marketplace employs over a thousand Filipinos to help grow operations. Why does it matter? The kinds of career opportunities Thumbtack presents to young Filipino workers is helping them realize that a call center job isn’t enough: that they can be part of a creative and entrepreneurial class of innovation-driven companies. 6. David Margendorff: Founder & CEO, Pawnhero. The country’s first online pawnshop has been super busy the past year, from winning Echelon in 2015 and the 2016 Osaka pitch contest in Japan, to securing funding from Softbank. With this background, David could choose to be anywhere in Southeast Asia – like the bigger market of Indonesia. But he’s chosen to bank on the potential of disrupting the technologically-challenged pawnshop industry in the Philippines. 7. Matt Morrison: CEO, A Space. With new co-working facilities in Makati, BGC & Cebu, A Space is evolving not just as an office leasing play, but as a hub for communities in tech, fashion, music, and the arts. Among their anchor tenants: Endeavor Philippines, Canva, and Grab. The creative mind behind the movement is Matt Morrison, a transplant from London who’s spent his career in media and advertising. 8. Henry Motte-Muñoz: CEO, Edukasyon.ph. Fresh from being named as one of Forbes 30 under 30 social entrepreneurs, Henry isn’t about to stop as he rides the momentum of building the first comprehensive database of classes and scholarships in the country. Don’t let the banking and private equity background get in the way – Henry’s also one of the nicest, most thoughtful, and most down-to-earth founders you’ll ever meet. 9. Jerome Uy, Founder MedGrocer. What do you call a product category that makes Php 100 billion+ a year, with a market leader that has 80% market share, yet with overpriced drugs and 80s-era IT? Ripe-for-disruption. To say that this is low-hanging fruit would be understating the opportunity. More like a huge, juicy, sweet mega-tasty round piece of fruit just yearning to be plucked. MedGrocer is the first to reach out before the lazy farmer notices someone is actually there. Plus: Jerome has a “never say no to a first meeting” policy. 10. Orlando B. Vea: CEO, Voyager Innovations. The co-founder of Smart has been driving the digital arm of the PLDT group for the past 3 years, and has been on a hiring spree as Voyager beefs up its diverse product portfolio in fin tech, e-commerce, and digital media. It’s an ambitious play, at a time when the core business is navigating a 3-year digital pivot. Among it’s flagship products: mobile money platform Paymaya, and Lendr, an online marketplace for loans. Anyone else you want to mention? Drop their names and organizations in the comments section! 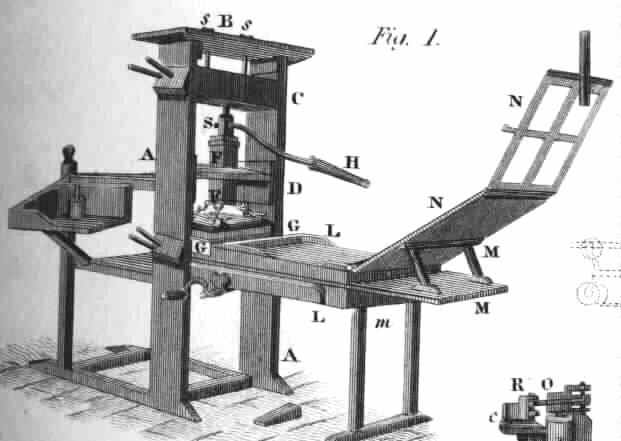 When Johannes Guttenberg invented a printing press based on movable type, it set off a chain reaction of events with profound consequences across the world. For the first time in human history, books could be printed in large quantities, versus being copied by hand. It was bound to unlock the sum of human knowledge to the masses of people still reeling from the Black Death and living under a system of feudalism and serfdom. By the 1460s, the printing press could be found in France and Italy. In 1476, William Caxton established one in London. It was soon in Spain. Books were printed. People started reading. Writing blossomed. Thoughts were reproduced. The media was born. Ruling a country would never be the same. It was a different story in the Ottoman Empire. In 1485, Bayezid II ordered a decree forbidding Muslims from printing stuff. Unlike Emperor Palpatine who so graciously embraced technology of planetary scale to annihilate his enemies (albeit failing to solve the fly-by-the-trench problem), Bayezid II viewed the new technology with fear and distrust. The geopolitics of it all was understandable. There were revolts all over the empire. A few years later, Bayezid would tussle with Ferdinand of Aragon and Isabelle of Castille for kicking Muslims out of Spain as part of the Inquisition. Any tech out of Europe was to be seen with suspicion and distrust. 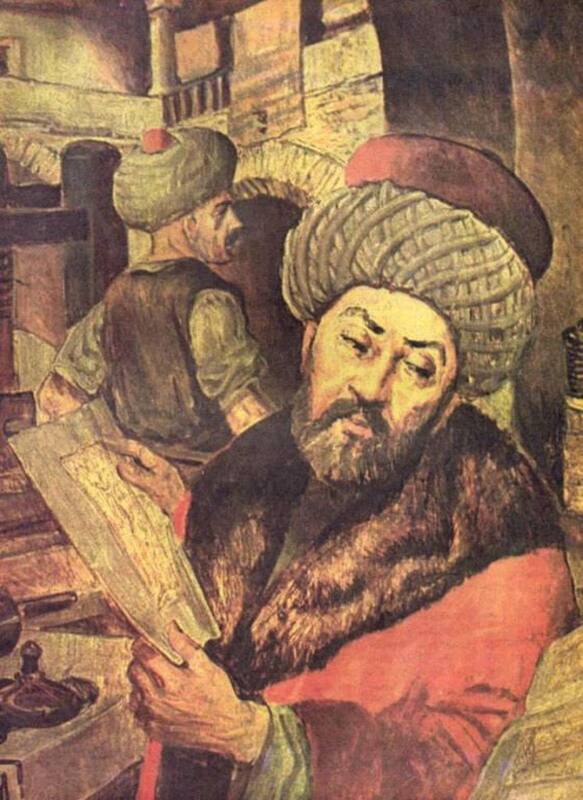 It was only in 1727 that the printing press was allowed in the Ottoman Empire. Ibrahim Müteferrika was granted a royal decree allowing him to have a press. Still, its use had a lot of restrictions. Müteferrika needed the approval of a panel of Muslim and legal experts before publishing anything. I’d look pissed too if I had to ask for CBCP permission for this blog. It’s like asking the local parish priest, Fr. Joey, for his approval before posting a Facebook status update. You had to enter the confession box, phone in hand, supplicating to Fr. Joey. He may say no. He may say yes. He may ask for a hug. Maybe a little more than a hug. It sounds ridiculous but that was in effect what Müteferrika faced. The effects were damning. Müteferrika only got to print 17 books. And by 1800, only 2% of the Ottman Empire were literate, versus 60% of adult males in England. The rest, of course, was history. Great Britain would lead the Industrial Revolution and Europe would soon follow. After a long period of decline, the Ottoman Empire fell after the First World War. In the book Why Nations Fail (from where the example above was lifted), the printing press was a critical juncture in history. The printing press was technological innovation that, along with other technologies, would form the backbone of literacy, knowledge, and education that gave rise to the Industrial Revolution. The way that nations respond to technological innovations are shaped by their political and economic institutions. England, France, and a young colony in the Americas embraced technology. Others, like the Ottoman Empire, blocked it. We’re at that critical juncture today. Today, the Philippine Republic is the Ottoman Empire. The printing press is the Internet. The Industrial Revolution is the legion of empowering technologies that the Internet enables, from e-commerce and social media, to artificial intelligence and data science. And it’s the way our political and economic institutions are structured that hinders their adoption. Entrepreneurs, engineers, and students at Action Stack’s Data Means Business workshop. The deluge of data is giving rise to new technologies that can form the backbone of a new industry in the Philippines. Perhaps that’s the legacy of the Aquino administration: remarkable progress in our macroeconomic growth (GDP, credit ratings, fiscal & monetary policy), but without significant institutional reforms of a critical scale to ensure that technological innovation happens across the economy. We’ve been at this critical juncture before. Twice actually. The first was when the Americans took over and we had the chance for a Great Reset in our political economy (that didn’t happen as I’ll explain later). The technologies of that time were electricity, the automobile, aviation, industrial machinery, and more. The second was more recent, during the EDSA Revolution, when we had the chance to do a wholesale revamp on how we as a country pursued free enterprise. It was only in the early 2000’s that the BPO industry picked up steam. What we should takeaway from the BPOs is not that it is on track to bring the economy $25 billion in annual revenues, but the fact that it could’ve happen sooner in the early 1990s. In tech, the 10-year head start matters. Look at India. While we were getting our act together in the 90s, India was already rapidly surpassing us in information technology, building upon their strengths built since the 1970s. Today, the CEOs of Google, Microsoft, and soon SoftBank trace their origins to India. The pace of technological change will only accelerate, and it’s not just about playing catch up in a linear rate of growth anymore. That’s why you have initiatives like the DOST’s 256k Internet plan being the laughing stock of the local tech community. When we have neighbors like Singapore planning for 2030 (led by a Prime Minister that knows how to code), it’s not fun that we’re planning for the world of 1998. Sure, we allow free enterprise on paper. Article 12 of our Constitution demands it. Our media celebrates it. Our leaders extol it. But underneath the surface, there exists a wide gap between rhetoric and reality. 1. Our Internet speeds are the slowest in the region. 2. Our ease of doing business is horribly messed up. We rank 165th in the world in starting a company. It’s easier to start a business in Afghanistan and Mongolia than in the Philippines. This World Bank Report is actually remarkably optimistic. For instance, it says it takes 3 days to register a corporation with the SEC. Anybody who’s gone through that process will attest that this is impossible. 3. Even if you’re successful in registering a business, getting electricity, acquiring property, getting a construction permit, accessing credit, paying taxes, getting import / export permits, and paying taxes are all messed up. 4. The complexity of complying with the law means you are bound to fail, and that creates opportunities for corruption. Every now and then, you’re victimized by petty low level corruption, from the local fire department requiring you to buy a fire extinguisher from a preferred supplier, to the immense syndicate at the BIR. 5. Our infrastructure remains substandard. We rank 8th out of 10 ASEAN economies in infrastructure. Laos and Cambodia did better in that list. 7. You’re faced with cultural dogma that celebrates being rich, but looks down on getting rich – because of our a) disdain for failure, and b.) distaste for young people who display ambition and intelligence. Why are the stuff above happening? One big reason is that our political institutions aren’t set up to unleash the power of free enterprise, and by extension technological innovation. Why? To answer this question, we have to briefly detour back to the end of the Filipino-American War. In 1902, the United States slowly began to devolve power to their little brown brothers. But there was a catch. 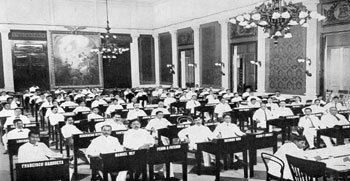 Only members of recognized families – the principalia – could be nominated to stand election in the Philippine Assembly, the lower legislative house established by the US Congress’ Philippine Organic Act of 1902. And so the Assembly was filled with rich landowners, former encomenderos, already established businessmen. What happens when you give the powerful more power? Well, that’s like asking what would Hydra do if given the ability to combine Zola’s algorithm with precision-guided laser beams from three satellite-linked helicarriers. That too was perfectly understandable. If you’re an old man with 300 hectares of farm land, very low productivity, four kids to feed (maybe three more from that nice young mistress from the other barrio. She reminded you of that Maria Clara character from that Rizal novel in the 1890s. ), peasants who joined the Katipunan a decade ago, and constant fear that remaining guerrillas like Macario Sakay could commandeer your land, you wouldn’t want some other young guy in the other barrio discovering a new way to plant palay and sell more grains than you. You would rent-seek as much as you can to get more cash flow while keeping your expenses and investments (i.e. : new technology) down. And so that state of affairs – our extractive economic institutions, preferential Filipino ownership in theory but oligarchic control in practice, the persistence of political dynasties, the collusion of big business and politics, and our distaste for foreign competition and investment – enshrined itself into the affairs of the State. 1. Close to 80% of GDP growth being captured by the top 40 families. 2. Science, technology, and entrepreneurship getting almost zero mentions in the President’s State of the Nation Address, despite the rhetoric of jobs and inclusive growth. 3. The US Secretary of Commerce showing more personal interest in technology startups any high official from the Philippines, with the remarkable exception of Senator Bam Aquino. 4. A Startup Conference where a glaring majority of speakers are not from startups. The bottom-line is that we have created two worlds of free enterprise. In the first one, it’s easy to do business because you’re part a big conglomerate. Want to set up a new division because the Investment Committee just approved Php 500 million for a new venture? Sure, just get the legal department to handle the papers. It’ll be back in less than 30 days. We do have a directly line to the SEC, BIR, DTI, SSS, Pag-Ibig, and Makati City Hall. In the second world, starting a business is a struggle. You’ve worked ten years and have managed to cough up meager savings. Now that you’re ready to set up a business, you have to endure months registering it. That’s not counting the hours you have to stand in line at the SEC, BIR, DTI, the local Municipality, the Barangay Hall, and other agencies to get your permit. That’s not counting the days traveling back and forth in Manila traffic. And even when you get all your documents, that’s not counting the cumulative time it takes to get an internet connection, a construction permit, financing, or other special permits. This doesn’t even count the time spent in your actual business. The goal of the next president is merge these two worlds, and bring the second one closer to the first. There are over 1 million business enterprises in the Philippines. That is at least a million people who are business owners. 99% live in the second world. They’re influential. They have employees. They have customers, suppliers, partners. They might seem invisible because they’re not the most vocal on social media. Instead of ranting about the productivity drag of traffic and the huge number of government-mandated holidays, they just buckle down and get to work. 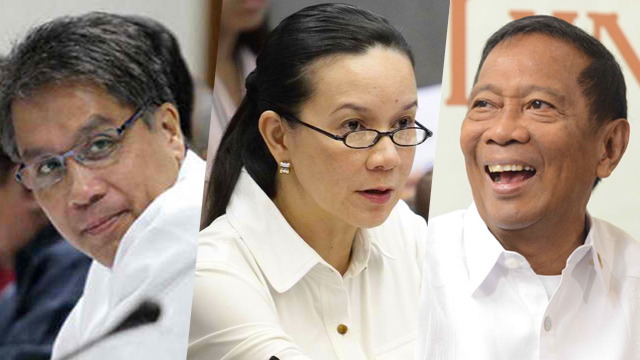 This is a large base and there are two ways the presidentiables can win the Entrepreneur Vote. The first one is to do it the old way. Write some fancy sounding slogans. Hire a “PR expert” to craft the right messaging. Make a jingle. Get celebrity entrepreneur to sing it. Make a music video of the jingle. Air on TV. Post some catchy updates on Facebook. Blame the current administration. The second is a new way. Simply, it means candidates putting themselves in the shoes of the entrepreneur. And not in a superficial way like visiting Aling Nena’s sari-sari store or manning a Jollibee counter for an hour. This idea will sound completely ridiculous to the political establishment and their campaign handlers. It’s brazen and has never been been done. And that’s the point. This is how it’ll work. 1. Each presidentiable will have 38 days to register a corporation. Why 38? Because that’s the World Bank measure of how long it takes. They have to get as far into the process as they can within that amount of time. There will be milestones – in the form of 3 public events, live streamed to the public. 2. The first day will be a publicly-held event. During this day, we’ll even make it easy for them. I’ll give each candidate all the forms they need, and Php 5,000.00 each as initial paid-in capital. They have to fill up all the forms themselves in that event – no accountants, no lawyers. Broadcast this live in front of the people. SEC Articles of Incorporation. By-Laws. BIR Forms. DTI. SSS. Pag-Ibig. City Permit. Barangay Clearance. 3. Some of these steps can be done electronically. We’ll leave it up to them to figure out which ones by finding it online. We’ll give them laptops. And a few thousand pesos for a portable broadband connection. They can choose which provider they want. If they want, they can pick a Negosyo Center of their choice to begin the registration process. 4. At the end of that day, we’ll have a panel check who filled up the forms correctly. You get the drift: the idea is to make each presidentiable feel what every Filipino entrepreneur has to go through. It doesn’t have to be exactly this process below – I leave to that to the media or academics who can probably design a better simulation. But since we’re at it, humor me for a few more minutes. 5. Once they finish the forms, the candidates will have to visit the various government agencies for the next 38 days. They’ll have to file the forms themselves. Go to the SEC and BIR and line up like everyone else. No aides. No assistants. 6. They’ll have to collect the output – such as the SEC Certificate and BIR Form 2303 – themselves. They’ll have to go back to each time on their own. Their progress will be tracked online in a dedicated website. 7. Once they get the necessary permits, that’s not where it’ll end. I’ll give each candidate a free TackThis! or Shopify account. In a second public event, they’ll have to use these services to set up an online store from scratch. They can choose whatever they want to sell online. At the end of the day, we check who was able to sell the most. Why selling online? Because it’s a great way to truly understand young entrepreneurs who are likely to use the Internet to enable their ventures. Selling online brings all of these skills together – from knowing your target customer, selecting & managing inventory, understanding the cloud, social media, and digital payments. Describe your experience in registering a company. Diagnosis the process of starting the company. What were the bottlenecks? What worked? What didn’t? Recommend the changes and how you would implement them. The “how” part is going to be crucial one. It’s easy to write into a campaign speech that we need better internet and easier ways of doing business. It’ll be the hard implementation-related questions that will be worth pondering. For instance, it’s tough to get the SEC to adopt electronic registration because its employees’ cooperative is dependent on selling paper forms. How do you make it easy for businesses while at the same time combatting organizational inertia? Another is slow internet. Sure, it’s easy to say that we should hold telcos accountable. But how? Do we reclassify internet services as a public utility? Do we liberalize the auctioning of spectrum? Do we staff the NTC leadership with engineers instead of lawyers? How do we make it easier for telcos to build a physical network, with the current plethora of national and local permits? This isn’t a perfect exercise, of course (you can imagine most trying to game the system, by asking for expedited processing from some agencies, for instance). This is 100 times better than simply asking the presidentiables how to encourage entrepreneurship and getting the standard answers in response. That’s also the purpose the public forums serves – you can kinda guess who gamed the system based on the level specificity and empathy of their answers. And neither is all this limited to national candidates when arguably local politics matter way more in welfare of local vendors and sari-sari store owners. The accomplishments of Leni Robredo and Rodrigo Duterte are proof. When the dust settles, we’ll have a treasure trove of data and insight about each candidate. We’ll know who can win the Entrepreneur Vote. 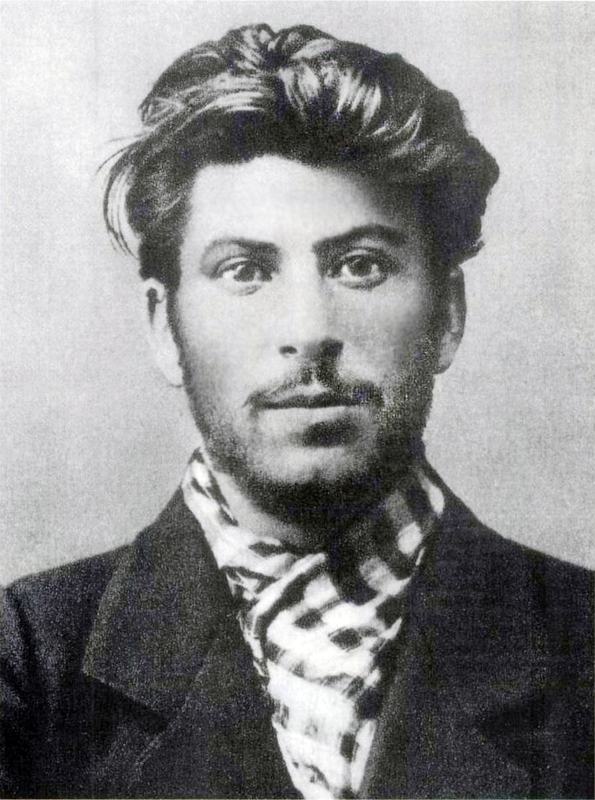 In the late 1920s, Stalin led the drastic reformation of the Soviet economy. The whole economy was to be planned by the state. Factories and farms were given targets. Prices were controlled. Agriculture was nationalized by the state. That meant no free enterprise. Part of the plan meant killing kulaks: independent, relatively affluent farmers who owned property and businesses and threatened Stalin’s regime. They even had a word for this: dekulakization. Over 6 million were killed or sent to labor camps. Thankfully, nobody’s getting murdered for opening an eatery in Quezon City. But it’s still death by a thousand cuts. If we want inclusive growth, then it’s high time we elect leaders who appreciate and have gone through the struggles of free enterprise.